You may have heard about the bats in the belfry, but what about the mice in the engine? 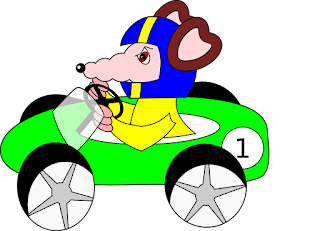 It is a myth that small cars are powered by hamsters running at full speed on spinning exercise wheels, but it is a fact that rats/rodents live in engine compartments. Rats like to make nests in cars and cause damage by biting the insulated wires and the inside of the upholstery. They make holes in the seats and roof covers. They destroy the insulating material and the seats, to get the elements that allow them to make their nests. They can totally destroy a car that has been saved for years. It usually happens in the fall and early winter. The nests are often cover hoses, exhaust fans, and air ducts. When they get stuck and die on the board or duct, the smell floods the car for weeks. Rodents look for a dark place to nest. This idea may help discourage nesting, but may not be practical in all situations. Clean the interior thoroughly and remove all traces of food that may attract them. Look under and between the seats for the remains of fast foods like burgers, bread, and chips. Remove packages of tomato sauce or other condiments, rodents can smell them. Wash carpets and upholstery in shampoos. Mice that have a keen sense of smell & you wouldn't want to attract them to your car. 3. Park your car in a closed garage, if possible. Look for holes and entry points in your garage. Place the peppermint oil around the openings to deter rodents with its smell. Also, insert some steel wool inside the holes (if there are any), and completely seal the entrances. Rodents are unlikely to chew through steel wool. You must anticipate the problem by stopping or catching rodents before they become your car's engine. Sprinkle poison or put some traps around the perimeter of the garage and also directly below the engine on the ground which will help eliminate the problem. You can also place moth balls directly under your car to create an unpleasant smell for rodents. Raise the windows and close all vents at night so they do not have access. Park your car away from the places that mice frequently visits, like piles of wood or firewood. Leaving a cat loose in the building or at least putting one that sleeps there at night will surely help to keep these creatures away. Many mice and rats will naturally choose to avoid an area where they can smell the cat. Look for one that catches mice, not all are good for that task though. You can also use a rat terrier, a breed that is known to hunt rodents from buildings. Use glue boards to catch mice when they have learned to avoid other traps. Place them near the walls and behind objects. Place them anywhere you see their droppings or other signs of their presence. If this does not work for you, then place boxes or packages of mouse poisons in solitary areas and out of sight. Place them at a distance of about 10 feet from one to the other. Use only one kind of bait to eliminate rodents quickly. Protect children and pets by using child-proof bait stands. Place the rubber snakes under your car. Squirrels, mice and other rodents are afraid of snakes and usually stay away. Change the snakes every few days or weeks to keep the rodents from growing accustomed to them. Cover the snakes in the peppermint oil for an added deterrent. Make sure to run your car at least once or twice a week to clean the mice of your engine. Rodents tend to pick up cars that are immobile and stored for long periods of time. Run the car and drive around the block before parking again and don't forget to check if any nests are forming in and around the engine. Make sure to clean up the nesting debris and other unwanted items to discourage rodents from coming. Never leave mouse poisons within reach of children or pets.